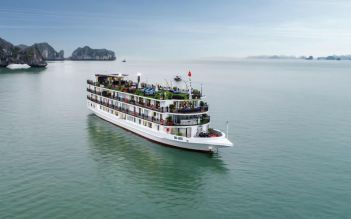 When one talks about Vietnam tourism, it will be a big omission if we do not mention Halong Bay - the Natural World Heritage. 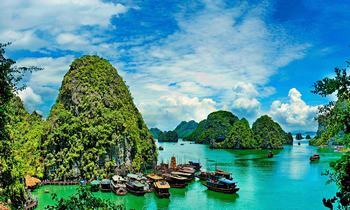 Besides the breathtaking scenery, Halong Bay also attracts tourists by a lot of interesting things to do. If you get the chance to travel there, do not miss these activities. 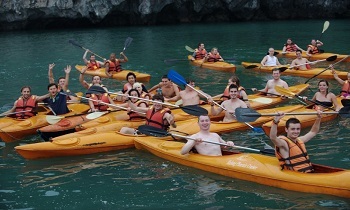 It can be said that kayaking is one of the most popular activities for tourists when coming to Halong Bay. It was once voted by National Geographic magazine as one of the topo 25 kayaking destinations in the world. 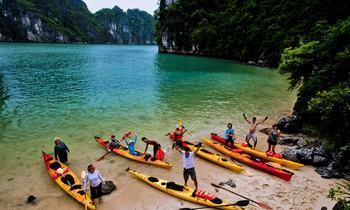 Wanderlust travel magazine also assessed that Vietnam is the top spots for kayak lovers. Sitting on the small boats, you can glide gently on the emerald green water to discover the mysterious rocky caves in Halong. 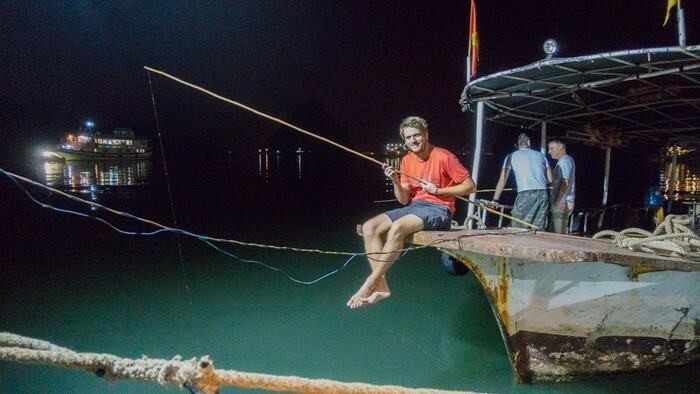 Also, tourists can freely visit fishing villages like Vung Vieng and Cong Dam, discover the beautiful scenery on the bay as well as the life of the people here. 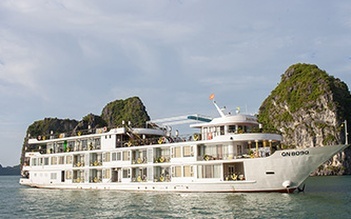 Staying overnight on a cruise ship in Halong is one of the best experiences that you should try once in your life when traveling there. The moment of watching the dawn or sunset promises to bring sublimated emotions that you certainly cannot find anywhere else. When the night falls, you can see the limestone mountains bobbing on the blue water through the large window while relaxing in your own room. Dropping your soul into the fanciful space, watching the stars shining and immersing yourself in the sea breezes while lying on the sundeck is a perfect choice for a wonderful night. Halong not only has mysterious unspoiled nature but the people here are very gentle. They live in the scattered fishing villages in the bay such as Vung Vieng fishing villages, Cua Van fishing villages or Ba Hang fishing village. Their daily life creates a very peaceful space, a unique culture of Halong Bay. Spending an entire evening in fishing villages, visitors can travel by rustic boat, immerse themselves in a quiet and peaceful space, admire the majestic natural scenery and learn about the cultural life of fishermen or learn how to row. However, the most favorite experience of visitors here is squid fishing with fishermen then enjoy the dishes made from which you have caught. The Queen's cable car is made with the advice and design of two world-famous designers, Doppelmayr (Austria) and Garaventa (Switzerland). 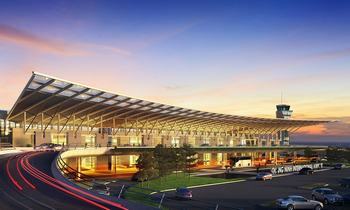 The cable is 2,222 m long with 2 cable columns. Unlike previous cable car systems, the Queen consists of only 2 cabins with a transport capacity of about 2,000 passengers per hour. Experience the Queen cable car, you will cross Cua Luc bay, from Bai Chay beach to Ba Deo mountain (Hon Gai). This work has received two Guinness world records: the largest cabin (230 people/cabin) and the cable with the highest cable head over the ground (T1 cable tower 188.88 m high). Halong Bay is the convergence of beautiful caves such as Thien Cung cave, Sung Sot cave or Trinh Nu cave. Thien Cung Cave is located southwest of Halong Bay. Coming to the cave, you will be surprised by the vivid beauty created by the stalactites. On the east side of the cave, there is a huge monumental picture with soft and flexible lines and extremely delicate to every small detail. 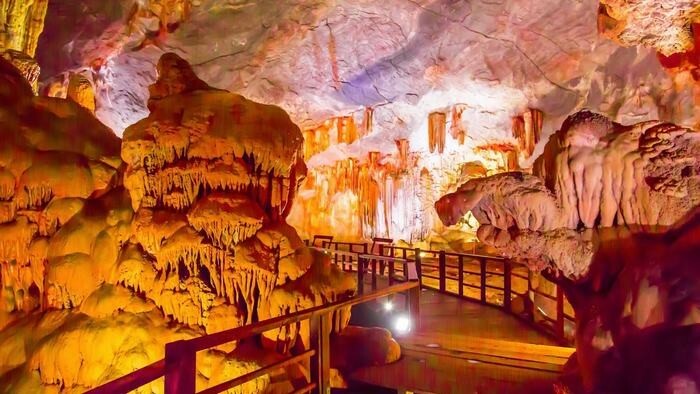 Sung Sot Cave is one of the largest caves in the cave system. On the way to the cave, there are many stones crowded together, giving the guests a very real feeling as if conquering the peak. Inside the cave, there are tiny concave pictures printed on the cave to make the cave in strange, giving visitors have an incredible experience. 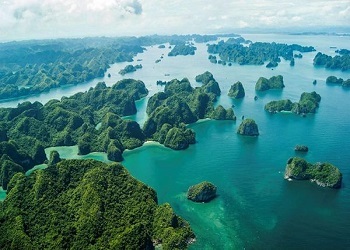 Not only intrigued by charming beauty, but Halong Bay with diverse and dangerous terrain is also a challenge for tourists who are into mountain climbing. 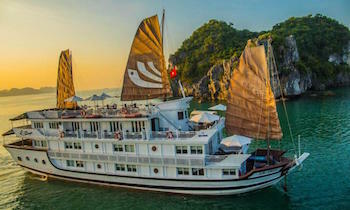 Even the athletes affirmed that Halong Bay is a paradise of interesting mountain climbing because it owns thousands of islands, and hundreds of climbing points. After kayaking to the mountains, visitors will conquer the steep cliffs and then jump down when the mountain ends. This sports activity is quite safe provided that climbers have to swim quite well and observe the falling point before implementation. Normally, visitors are recommended to climb only about 30 m for training or entertainment purposes. If you want to go higher or in dangerous areas, they must use belts to ensure safety. 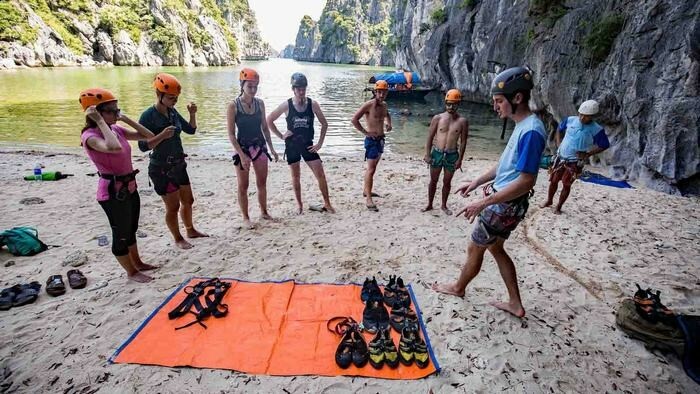 If you are a fan of this extreme sport, surely the thorny cliffs and the magnificent corners of the mountains in Halong Bay will give you a desire feeling to conquer. 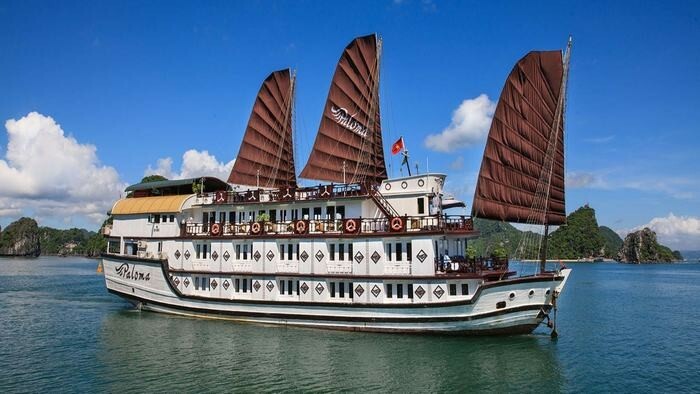 There are also a lot of interesting things waiting for you in Halong Bay. 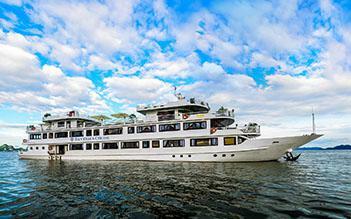 Let's take your backpack and travel now to explore how exciting Halong is. Visit our website to get further information and leave any questions. If you find this article helpful, please share with others. Have a nice trip! 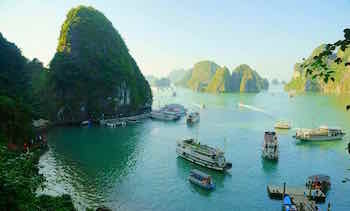 Where is Halong Bay Vietnam located on the map?